There’s an emerging trend in the United States to reverse the brain drain from certain areas, and you may be able to pay off some of your outstanding school loans if you take part. 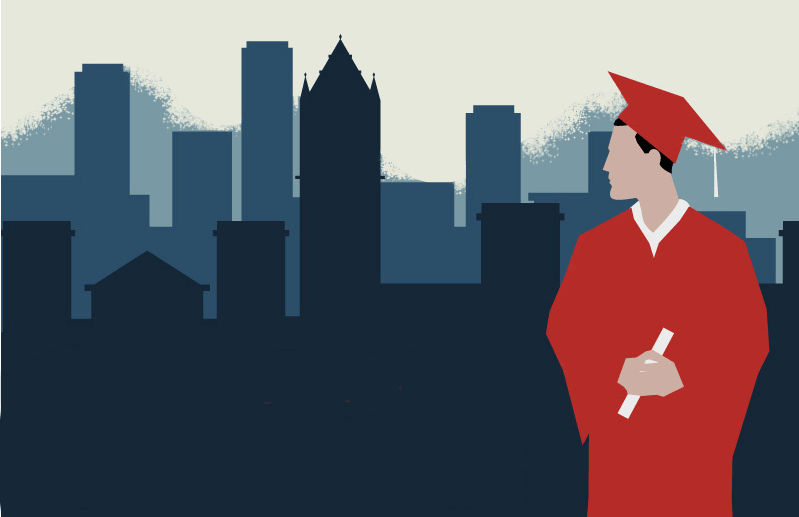 All you have to do is relocate to an area that is experiencing a shortage of college-educated residents. Right now, the two places that are offering this program are parts of Kansas and Niagara Falls in New York. However, with the dual problems that exist in the United States, of economically depressed areas and crushing school loan debt, this trend is likely to grow. Some of the best government programs are the ones that can address two issues at the same time. It’s kind of a “buy one, get one free” deal for the funding. I’ll tell you how it works in the programs that exist now, and you can keep your eyes open for similar school loan forgiveness programs that develop. You may also want to contact your elected officials to express your interest in seeing the growth of school loan forgiveness programs. In Kansas, there are fifty counties that are called Rural Opportunity Zones. In return for just living in these communities, up to $15,000 of your school loan debt may be forgiven. You’ll also be exempt from state income tax for five years. You can qualify even if you’re not already a Kansas resident. Now you may not have thought of living in Kansas, but it could be a good opportunity to have your college education be in demand, reduce your school loan debt, and enjoy a low cost of living. You can read more about the Kansas Rural Opportunity Zones at tinyurl.com/KansasROZ. The other place that’s offering a similar deal is Niagara Falls in New York. As a college graduate, you can receive up to $3,500 per year in school loan forgiveness just for renting or buying a house and living there full time. If you enjoy winter sports and beautiful scenery, this can be an ideal situation for you to discharge some of the school loan debt that’s hanging over your head. To qualify, you must live in a designated area and work within the city. The designated area is the downtown core because it has experienced a decline and is struggling to thrive. The Niagara Falls population has fallen to 50,000, down from more than 100,000 just over 50 years ago. The city officials are eager to attract new residents because they will lose access to federal and state resources if the number of residents dips below 50,000. Of course young graduates who move there for the purpose of discharging school loan debt will need jobs , so they can take advantage of existing incentives to help new business owners. Niagara Falls is also looking into starting what they call an “enterprise centre,” which will be a one-stop, centralized service provider in a convenient downtown location. You can be one of the pioneering college graduates who decides that you want to reduce or eliminate your school loan, try living somewhere new, and maybe even start a new business there. Whether you choose rural or urban living, you could be in for a big adventure!